Diet and Nutritional Sciences’ Department, University of Lahore (UOL) in collaboration with Halal Food Certification Authority “SANHA’’, conducted a three-day training session from April 11 to 13, 2018 that had different experts addressing halal certification process and the stakeholders’ role in ensuring halal products for citizens. Mr. Shukraan and Mufti Yousuf A.R. Khan both experts in halal products and certification were the main facilitators of this educative and professional event. Students were supplied with booklets regarding the topic for reference purposes and comprehensive understanding. Besides food management, participants mainly students, were also addressed on other halal (lawful) aspects that are required in the market like halal finance and commerce system, medical care products, fashion, pharmaceuticals, cosmetics, tourism and hospitability. The training targeted students because of their capacity to conduct research on the current challenges as well as being the leaders of tomorrow. 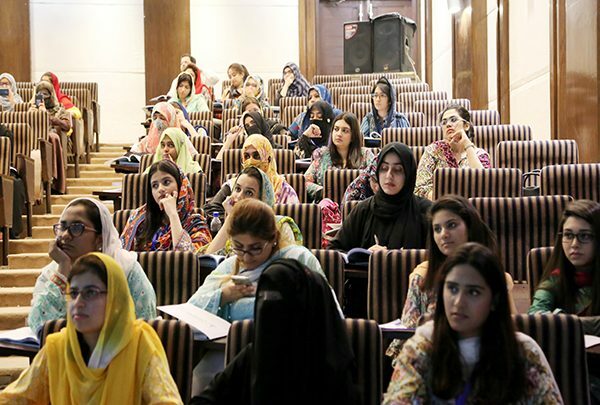 Students were told that halal food management and the market generally, is a subject that many Muslim countries have streamlined adding that Pakistan authorities are collaborating with those countries that have already built their halal systems comprehensively. “Other Islamic countries are making more fine systems to ensure halal consumer products to their citizens. This has made Pakistani authorities to work on more fine systems to make sure that halal and healthy consumer products are available in the market for citizens.” Mufti Yousuf observed.